Enjoy stunning three-sided views of the tallest, fullest, safest and most beautiful flames on the market—with glass-on-glass or open flame without glass! These 3 sided glass-on-glass or open flame gas fireplaces are available in six viewing widths ranging from three-feet to nine-feet. Acucraft Peninsula gas fireplaces are a stunning way to divide a special space with an attractive focal point. It’s a great way to showcase the tallest, safest and most beautiful flames on the market—perfect for restaurants, hotels and residences. Your Acucraft fireplace will meet ANSI/CSA performance & safety standards with Label. and most beautiful flames on the market—guaranteed! options for the look you desire. Your Acucraft firebox is guaranteed for a lifetime of HAPPY BURNING! Acucraft is world renown for manufacturing commercial-grade fireplaces that are built to impress and last a lifetime. After over 39 years’ experience of building thousands of custom fireplaces, Acucraft has developed the Peninsula-Series of high quality, high performing, safety certified gas fireplaces in viewing widths ranging from three feet to nine feet. Four of the six Acucraft Peninsula-Series certified gas fireplaces are built with the Acucraft Patent-Pending Glass Cooling Technology. You’ll enjoy the beauty of the tallest, fullest flames on the market with safe-to-touch glass. Glass-on-glass units offer seamless views without unsightly supports. Glass-sealed fireplaces can be vented to deliver warm air into your space or vented to transfer heated air outside. If you prefer a more intimate flame view without glass and cozy fireplace warmth, Acucraft offers 5’ Peninsula certified gas fireplaces with an open flame or with a firescreen. In addition to the Acucraft Peninsula-Series Gas Fireplaces, Acucraft is famous for building one-of-a-kind fireplaces like this show-stopping Acucraft Peninsula custom gas fireplace designed and built for Blue Mountain Ski Resort. 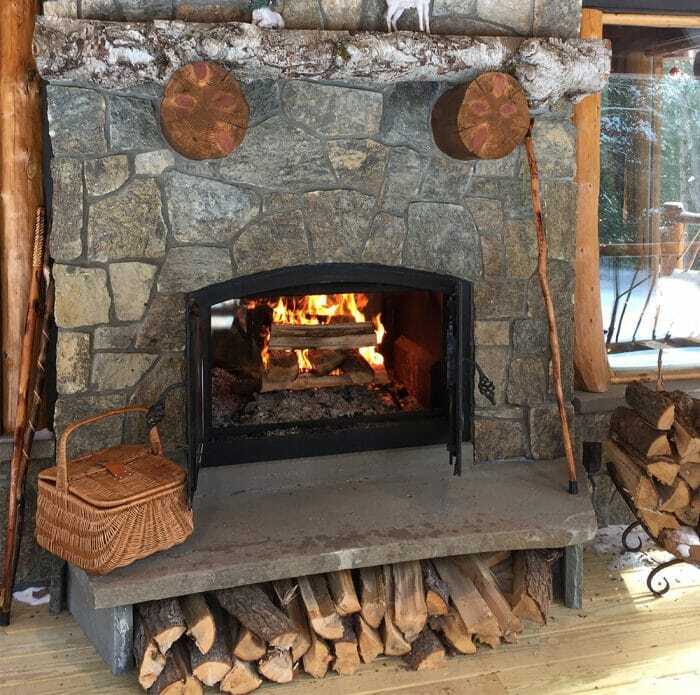 It is an attractive focal point for Slopeside Pub & Grill patrons and adds up to 100,000 BTUs of warmth for great conversations after a day on the slopes. Acucraft Fireplace Advisors & Designers Work One-On-One with YOU! 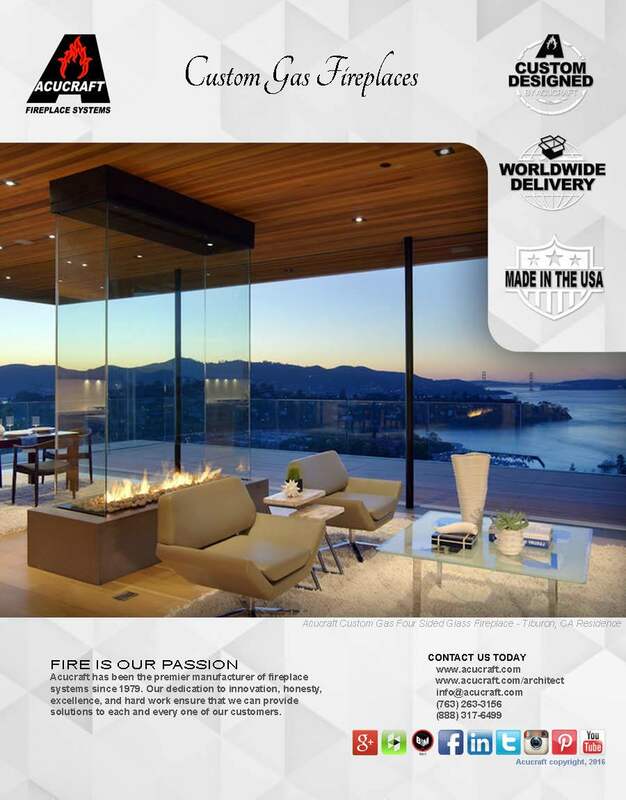 Acucraft is one of the few custom fireplace design manufacturers in the world who work directly with you to make your fireplace dreams come true. Our Fireplace Advisors and Designers will help you determine the perfect solution for your space. Acucraft fireplaces are never mass-manufactured. Every fireplace is built one at a time by Acucraft expert fabricators, welders, and finishers. Acucraft will provide you with a high-quality, high-performing, safety-compliant gas fireplace that produces the tallest, most beautiful flames on the market—guaranteed! Your Acucraft fireplace will be crated and delivered to your job site anywhere worldwide. Your gas fireplace is backed by the Acucraft Lifetime Guarantee for a lifetime of happy burning! Acucraft is the only fireplace manufacturer in the world to have invested in a 3rd-Party Certification in-house test lab to ensure that your gas fireplace meets or exceeds ANSI Z21.50 / CSA 2.22-2016 performance and safety standards with Label. No other fireplace manufacturer in the world has gone this extra mile to ensure your safety and peace of mind.